During our last two days in Cape Town, we visited the Titanic Artifact Exhibit, the Springbok Rugby Musuem, the Cape Town McLaren dealership, the Two Oceans Aquarium and the Cape Town Diamond Museum. 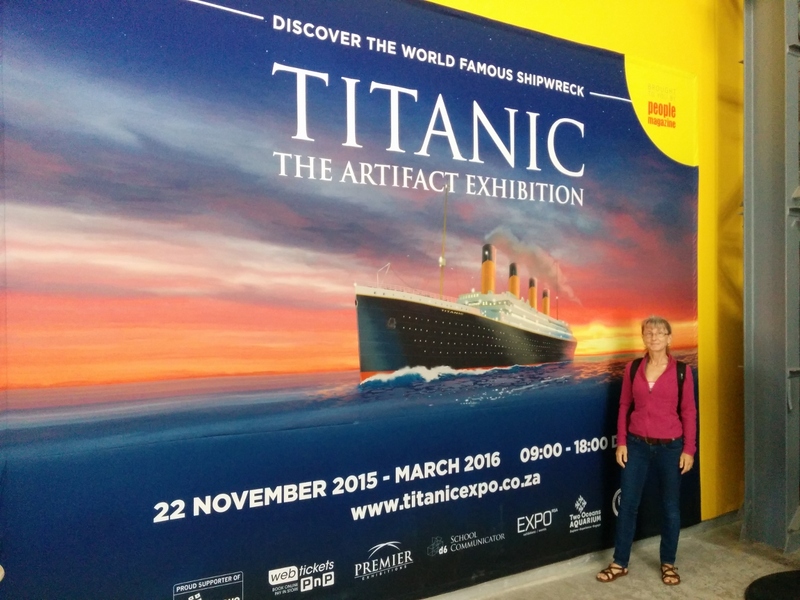 The travelling Titanic Artifact Exhibit opened at the V&A Waterfront shortly after we arrived in Cape Town and we finally went to see it. 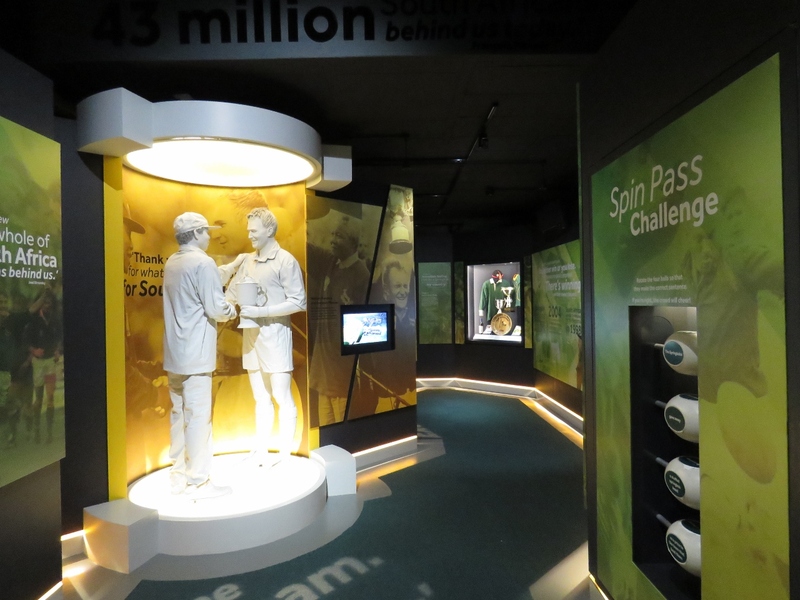 The exhibit focuses on the personal stories of those aboard and included over 300 artifacts recovered from the sea floor along with a description of the recovery process. 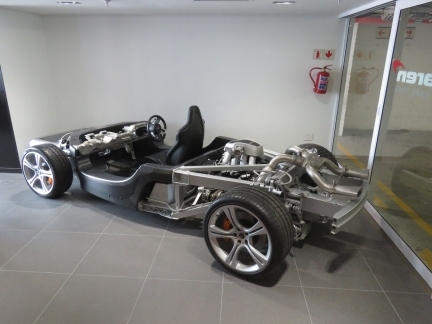 The Cape Town McLaren dealership has some amazing machines on display, including several McLaren 650Ss and a 675LT. A McLaren with the bodywork removed is more interesting, and almost as beautiful, as a McLaren with the bodywork on. We stopped in at the Grand Cafe and Beach for a pre-dinner drink overlooking Table Bay. 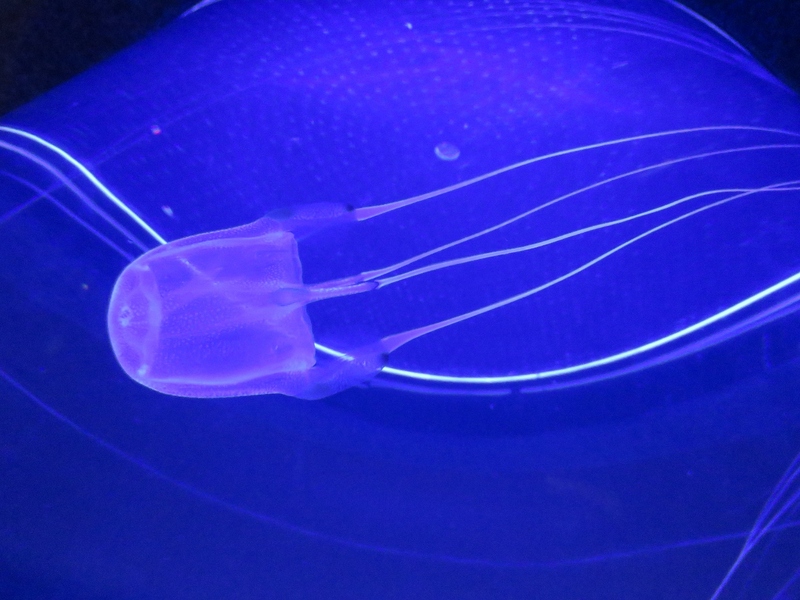 The beautiful jellyfish exhibit at the Two Oceans Aquarium above the V&A Waterfront marina. 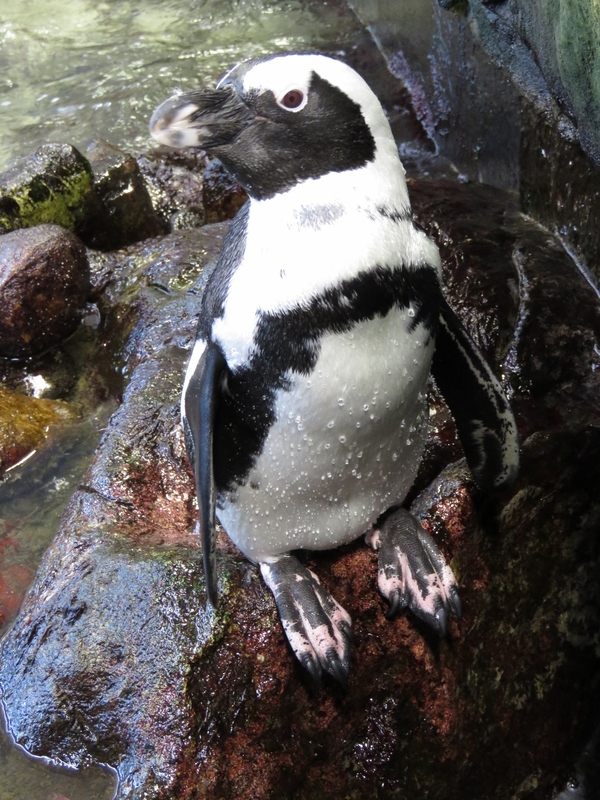 The African penguins at the Two Oceans Aquarium seem to enjoy being the center of attention. 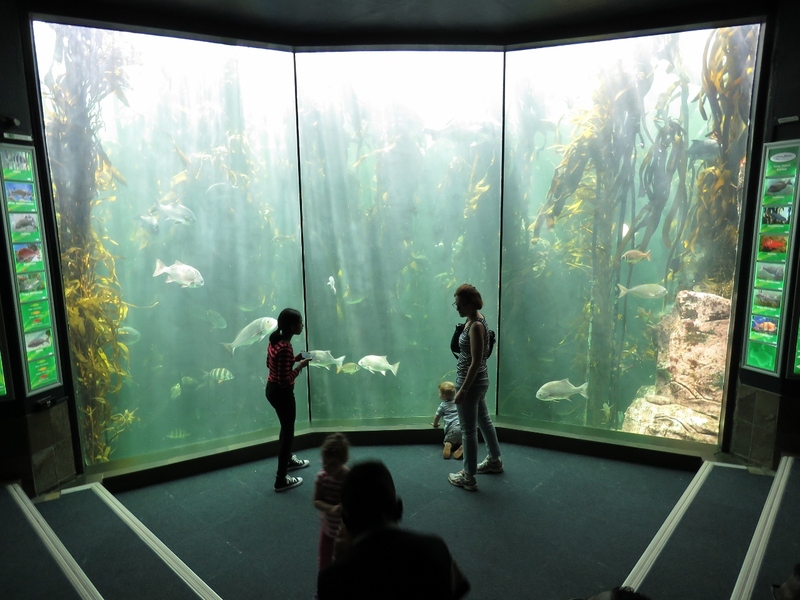 The Two Oceans Aquarium has one of only three live kelp forest exhibits in the world and it’s fabulous. We’ve seen one of the other two at the Monterey Bay Aquarium in California. 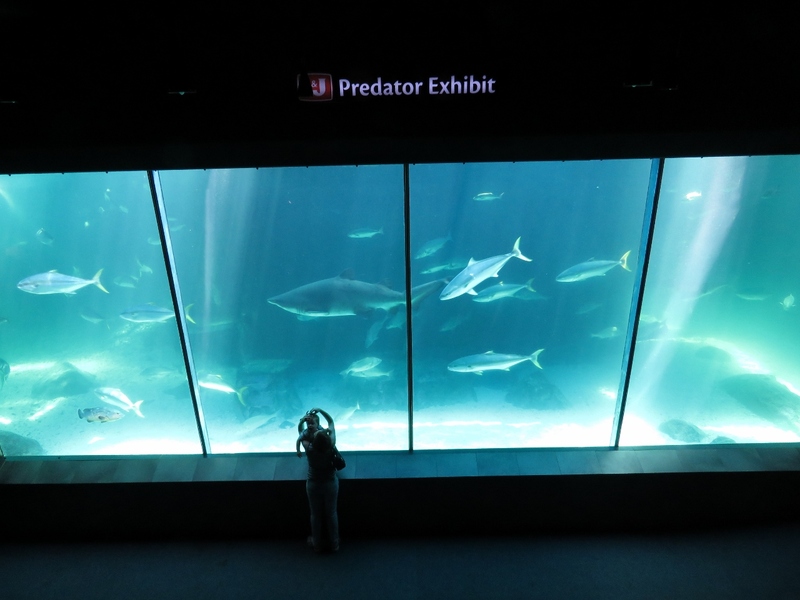 The massive predator tank includes ragged-tooth sharks and many large pelagic fish. For a fee, you can dive the tank with a guide. 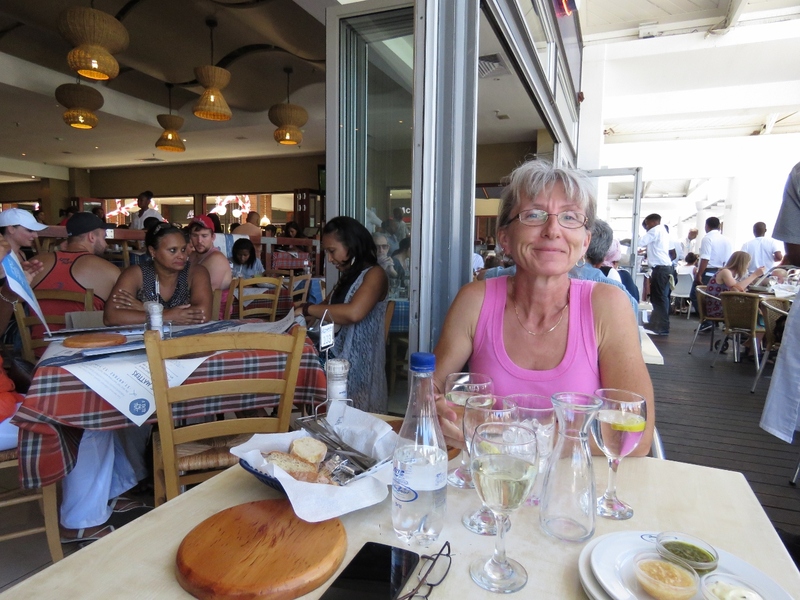 We had a delicious lunch on the patio at The Ocean Basket. The restaurant sponsors the Kelp Forest Exhiibit at the Two Oceans Aquarium and serves only sustainable catches. 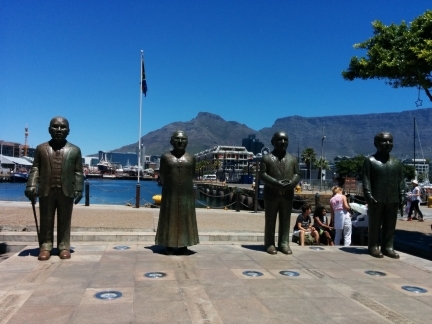 Nobel Square has larger-than-life statues of South Africa’s four Nobel Peace Prize laureates: Nkosi Albert Luthuli, Archbishop Emeritus Desmond Tutu, former State President F. W. de Klerk and former President Nelson Mandela. On a guided tour through the Cape Town Diamond Museum, we learned about the history of South Africa’s diamond industry and how the stones are valued and cut. 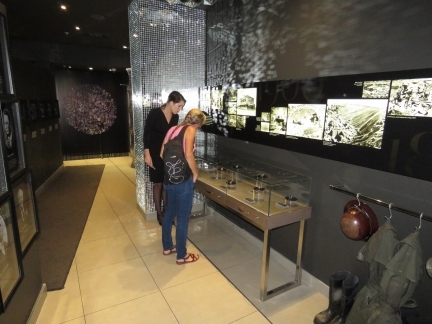 The Diamond Museum was created by South African diamond jeweler Shimansky, and the tour includes a view into their factory where diamonds are cut and set into fine jewelry. 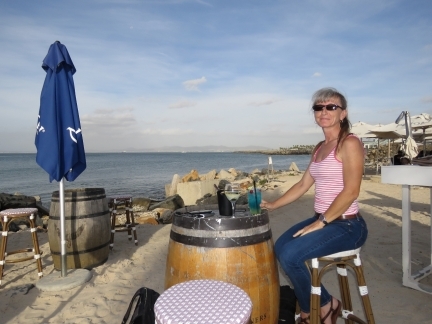 Happy New Year James and Jennifer. 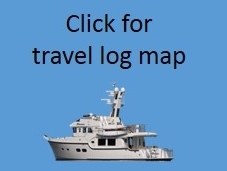 I hope you have a year of calm seas and continue to enjoy great voyages! 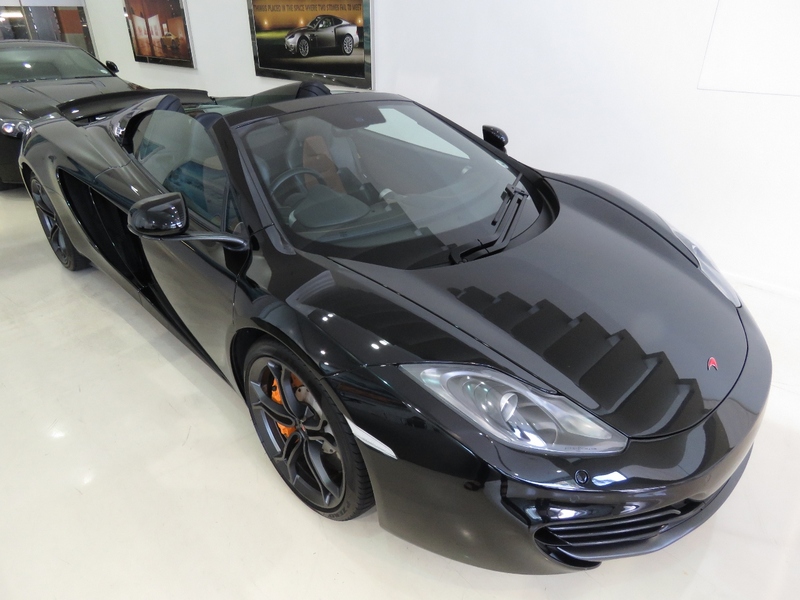 All the best to you as well Stewart.